Gael Hannan’s new book, The Way I Hear It, was featured in a review this week at the Huffington Post on September 29th by writer Kristen Hansen Brakeman. As someone who has only recently discovered my hearing loss and begrudgingly wears hearing aids (albeit sporadically), I found myself again and again thinking that Hannan was somehow talking about me. Gael Hannan, who has been an editor and writer for Hearing Health & Technology Matters since 2011 at the Better Hearing Consumer, has been involved with hearing loss advocacy for the past two decades. The weekly columns took me into some dark and dusty corners of my life, and the book took me even deeper into the life with hearing loss. I relived many painful moments, but also did more than one victory dance around my writing room, as I celebrated myself and my transition from a place of lower self-esteem to now, where I have taken charge of my own communication success. Want to check out Gael’s new book? 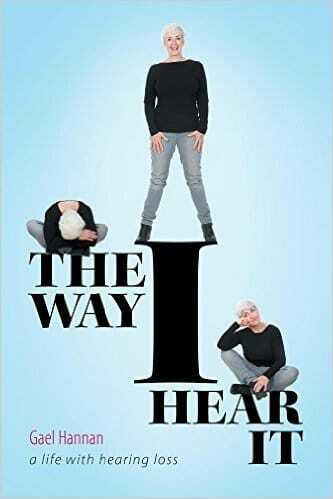 The Way I Hear It: A Life with Hearing Loss is available in ebook, soft cover and hard cover formats from online retailers including FriesenPress , Harris Communications and Amazon.com.